You may have been seduced by the beauty of the Cape, or Johannesburg’s clear blue skies. You could have found the spirit-lifting view you want to wake up to for the rest of your days. Perhaps you’ve met the love of your life, are pursuing a career or want to invest in a country with golden prospects. The laws involved may be new to you, and may vary significantly from those of your country of origin. Implications for your nationality and citizenship may cause you doubt, and you may feel lost as to which passport and visa arrangements or restrictions apply. The security of your investments and pension may cause you anxiety that you could lose everything you’ve worked so hard at establishing. Taxation in this country may be a mystery to you, and you might be wary of who you can trust. We are sworn attorneys qualified in commercial law, and we can advise you on best business practice in South Africa, and on protecting both your personal and professional interests. If you’re an asylum seeker or refugee, you may be eager to secure legitimate employment. You may feel home-sick and wonder if you’ll ever see the family and friends you’ve left behind, and whether you’ll be able to support them from your host country. 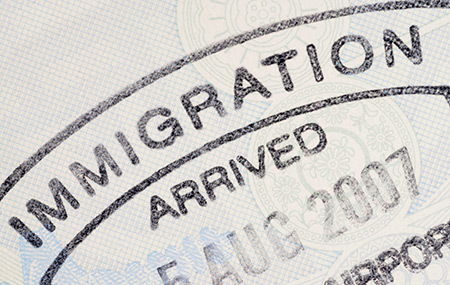 Our immigration lawyers work with individual clients at every stage of the naturalisation process, offering expert advice with compassion and confidentiality. English may not be your first language and you could feel disadvantaged by not understanding important information or complicated legal terminology. We use plain English and can assist you in your home language if needed. There’s no sense delaying any longer when we can assist you with your rights and responsibilities in this country. Speak to Simon now about immigration South Africa and citizenship.